Subject: COME GET YOUR PHOTOS AT WORLD'S PRECIOUS CHILDREN NATIONAL! FREE B/W WITH EACH COLOR PRINT ORDERED SAME DAY OF SHOOT!!! **CLICK ON THE BANNER FOR MORE INFO! ** BE SURE TO "LIKE" OUR FACEBOOK PAGE TO WIN A SHOOT! 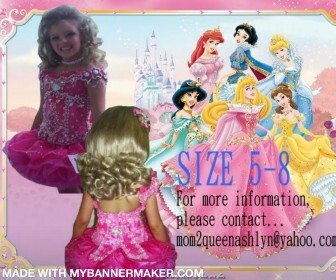 Pageant Tiaras for sale around $20 and under! 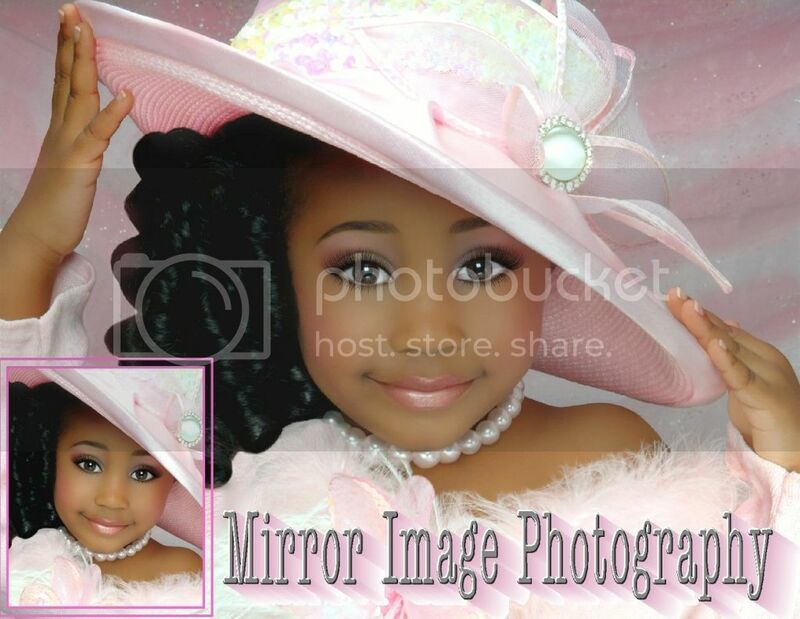 Meet Miss Madisyn...Mirror Image Photography's newest model. Mirror Image has helped her be discovered Thanks to a Mirror Image... friend/producer... who fell in love with her Mirror Image photos! Possible casting with Iron Man III and another Disney movie!!! Free b/w print with each colored print ordered! 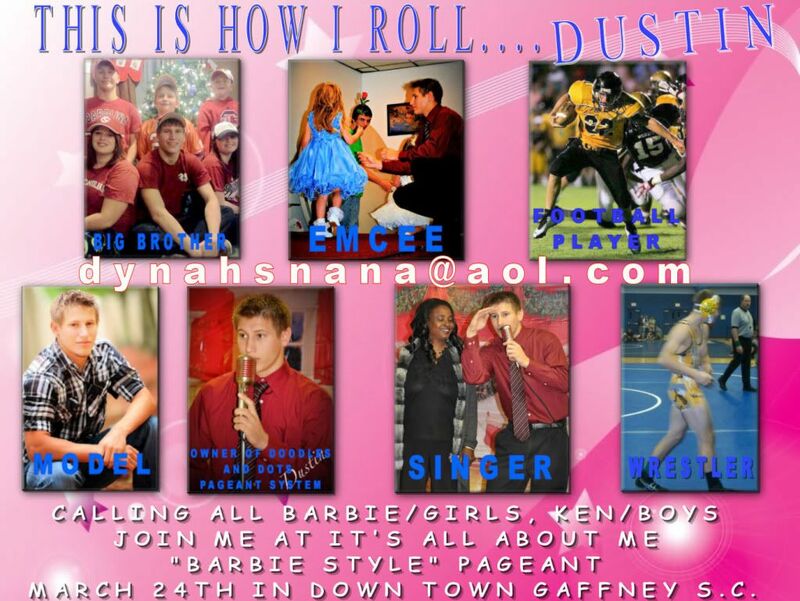 Email lisabelhaiba@hotmail.com or call 256-929-1146 for booking! 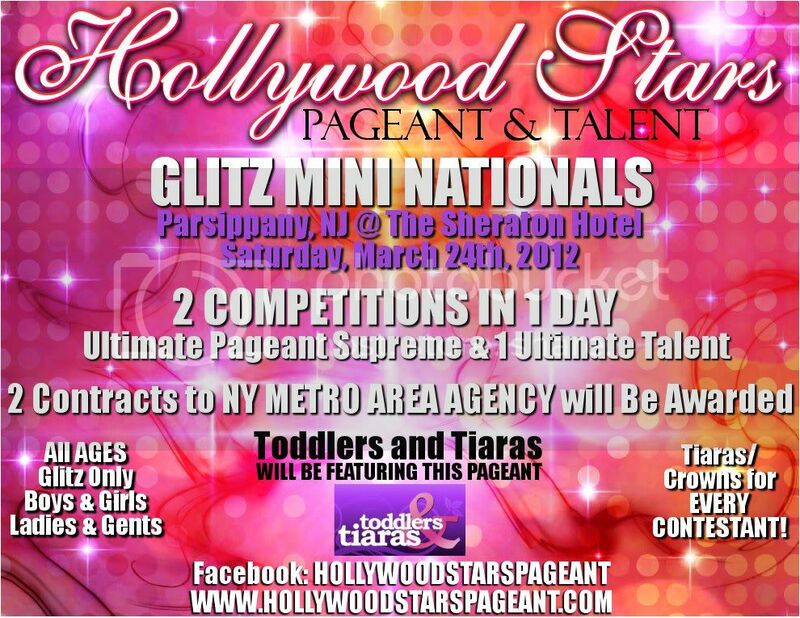 Compete in natural, glitz, or both! Subject: Brand New 2-3T White Glitz Swiss Dot Babydoll Just Listed. 99 Cents! No Reserve! Supplied by us and yours to keep! 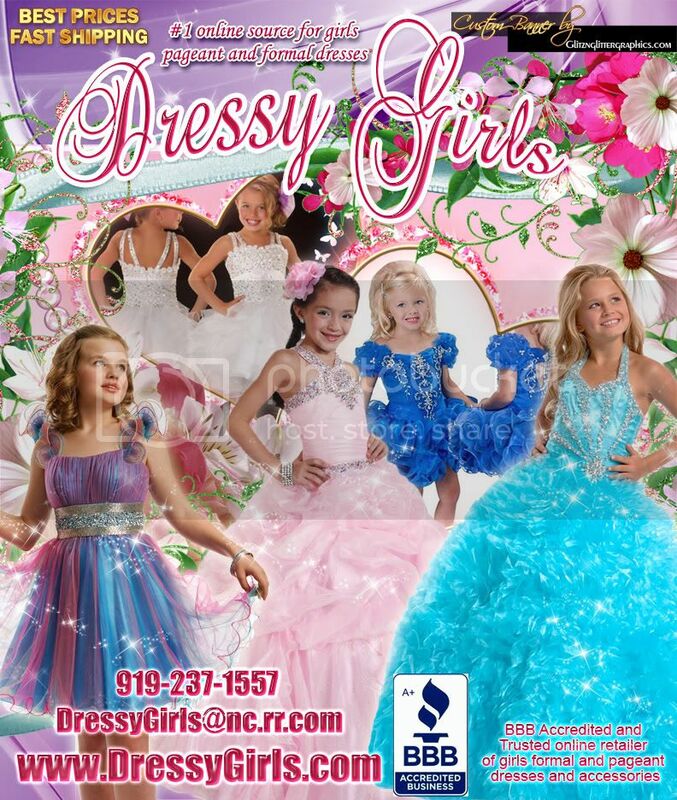 Summer Issue in their Couture Wear! 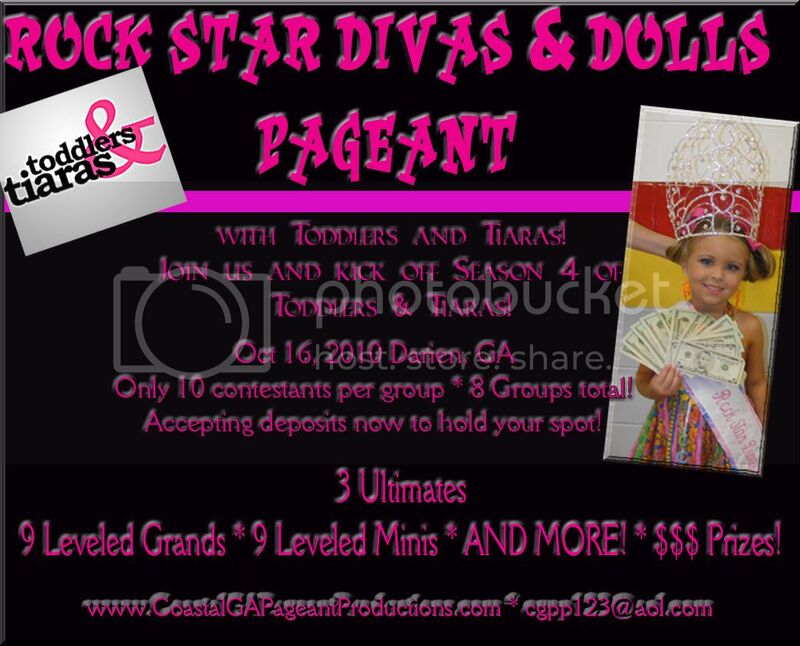 Atlanta's Newest Premier Pageant that is FUN, FAIR and AFFORDABLE. 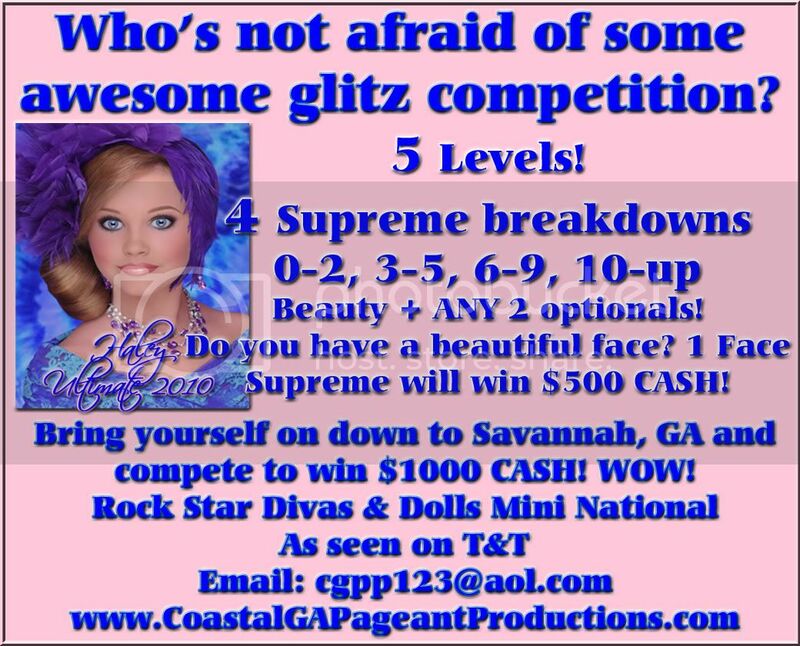 Compete in natural or glitz! Enter by January 15th for super early bird special for $395 for supreme package. this special package. 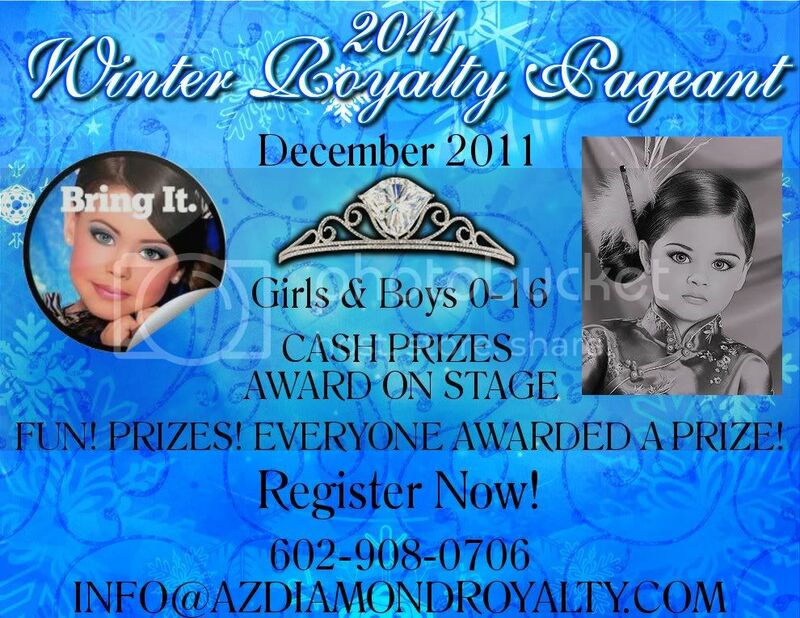 CASH prizes, large custom crowns and banners, gifts and much more. Custom made by Debra Cantor. Brand New Condition! Hey Diddle, Diddle, the Cat and the Fiddle, the Cow Jumped Over The Moon! "MOO-VE OVER THE DEEVAS ARE COMING THROUGH!" 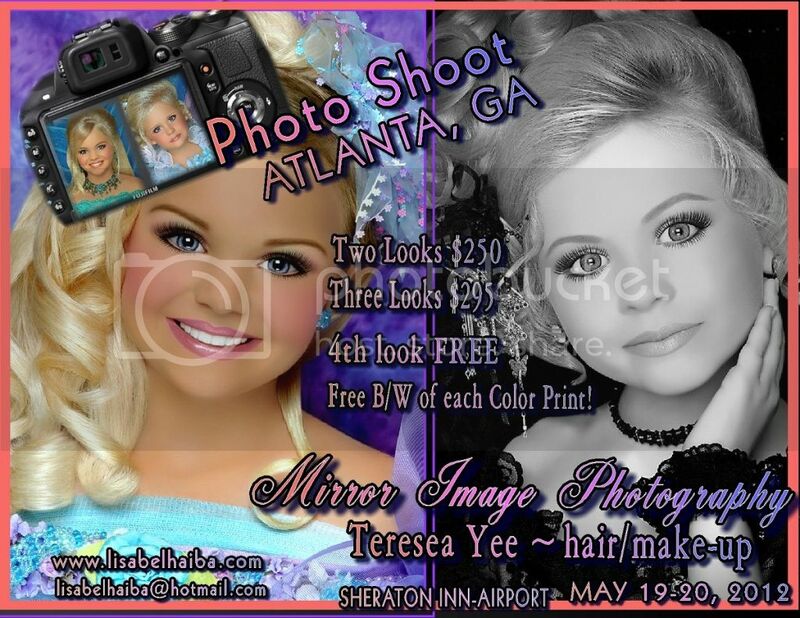 Do you know where to go for Fantabulous Hair & Make up and Fabtastic Modeling? DO YOU HAVE DEEVA-TUDE? DIDDLE DOES! Miss Dee Dee can fix that! 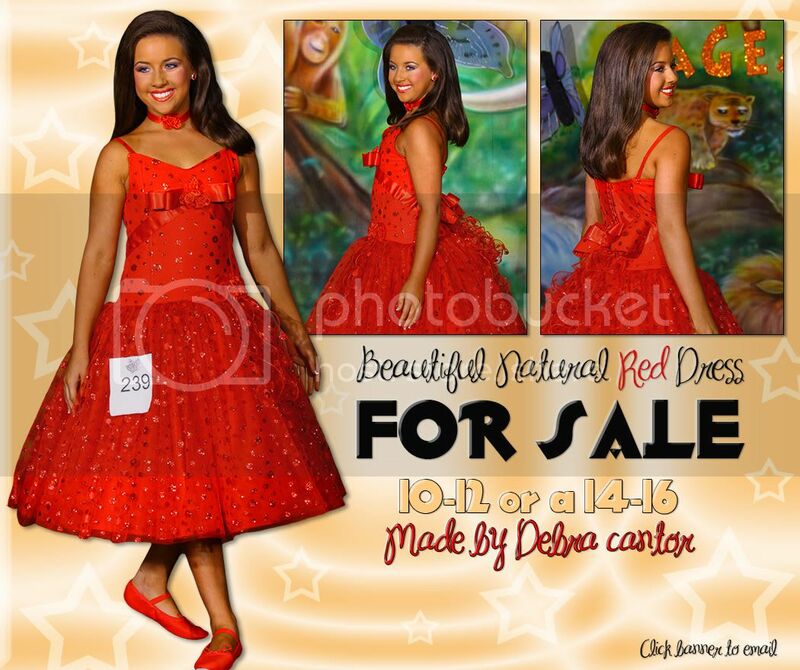 DEEVAS HAVE GOT IT ALL! for ppw and additional information! 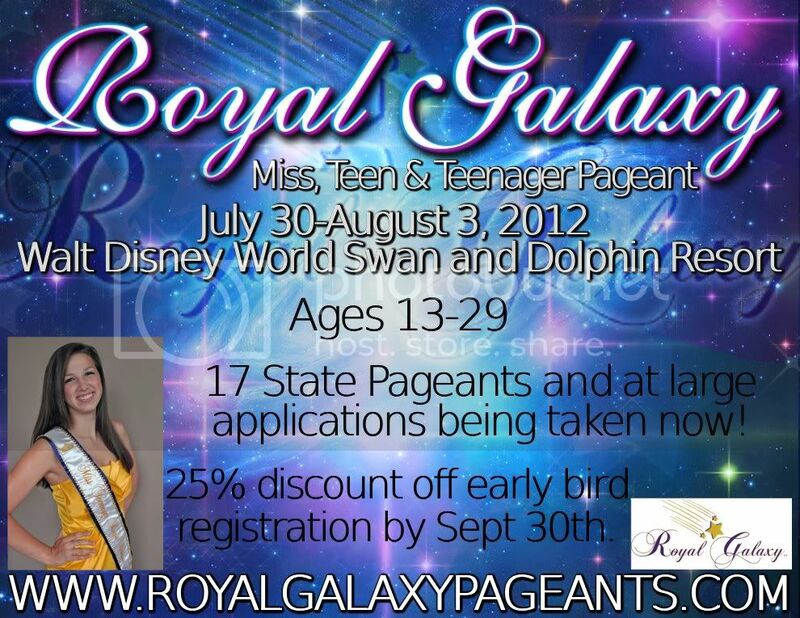 All events are $100 and include competition events,best awards and a grand supreme. to be featured in our designers fashion layouts and advertisement in our upcoming issues. Super Sassy to Flawlessly Glamorous�. 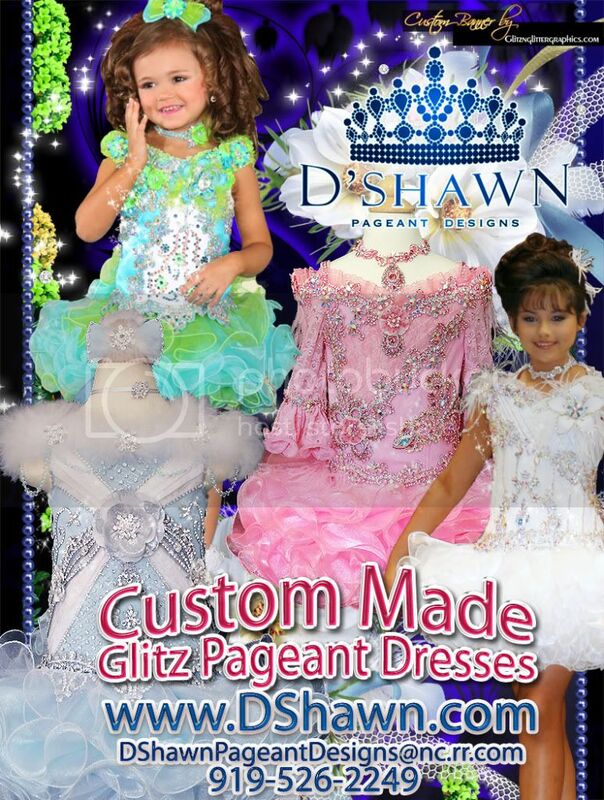 Beautiful Crowns and Tiaras at competitive Prices! U.S. based company...no overseas shipping. 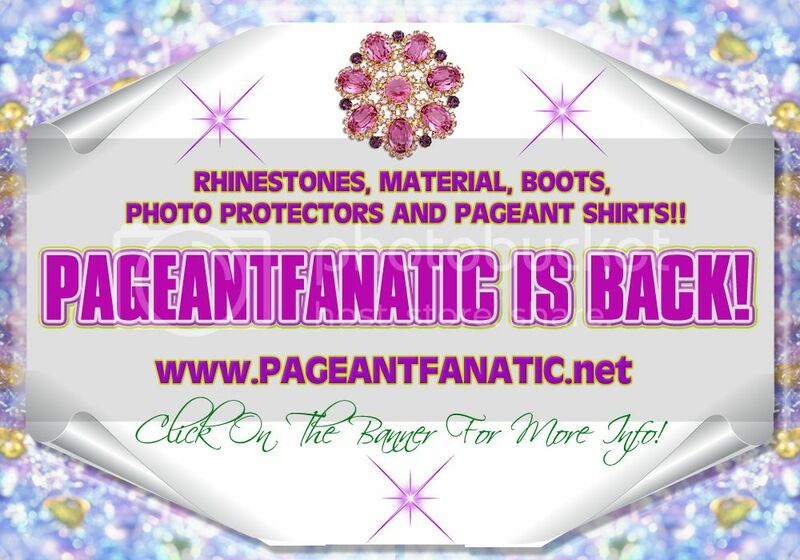 Click banner to visit our site! Tanning for a tight budget! 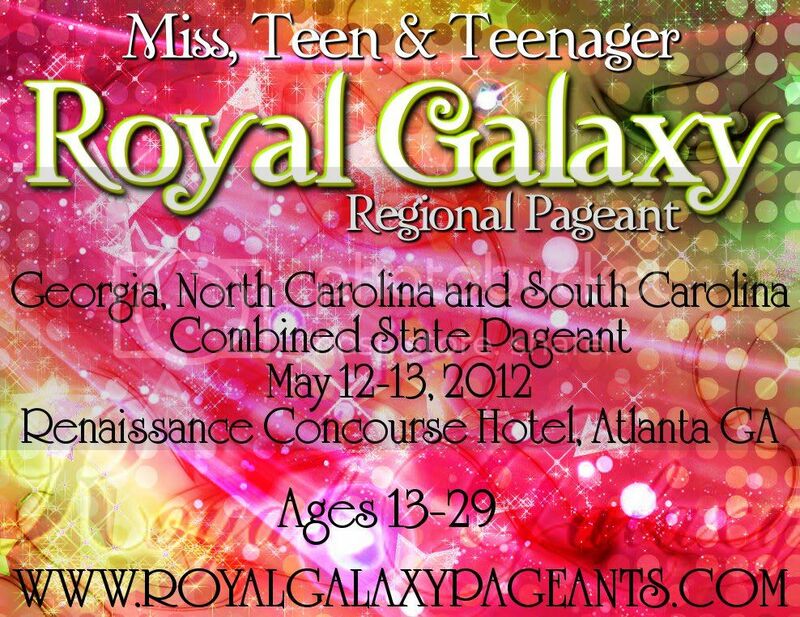 Please, email for entry forms at : imapageantgirl@hotmail.com or call 252-455-7413 for more info. Come Rock With us & Win $1000 CASH! Only 12 entries so far! Belle is proud to be a Deeva! Give Miss Dee Dee a Call Today! Santa Has checked his list twice and has decided to bring Christmas Early! Read the Exciting details! 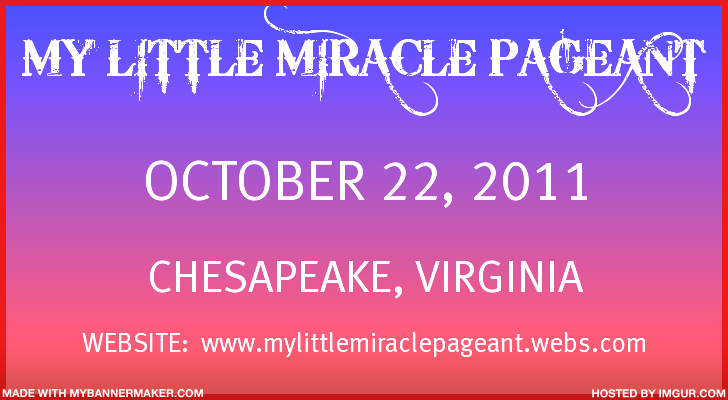 Paperwork is on the website�http://atbcpageant.angelfire.com! TOY Explosion National website is http://toynational.angelfire.com. Let me know if you want to be a vendor. *** Majestic Sashes ***The Sashes Winners Love to Win!! of writing. We know that directors only want the best for their contestants! 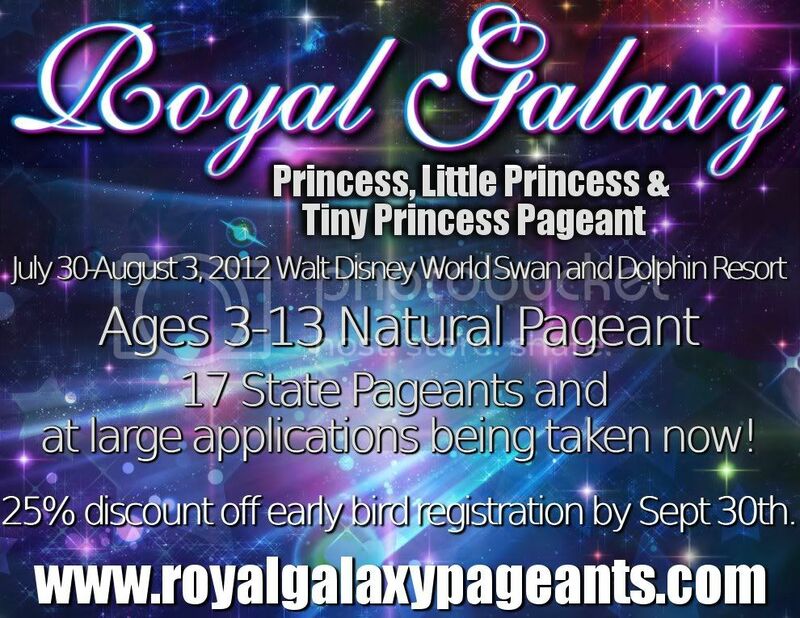 *** Novice of the Year/Supreme of the Year Earlybird ***Pay your $200.00 Deposit by Aug. 31st and Receive a FREE Optional! Pay your $200.00 Deposit by Aug. 31st and Receive a FREE Optional! and we can email or mail you some! Join us January 13-15, 2012! Receives a beautiful 10 inch Silver Star crown, royalty robe, star scepter, satin embroidered sash, trophy, a $200 bond and lots of nice gifts! 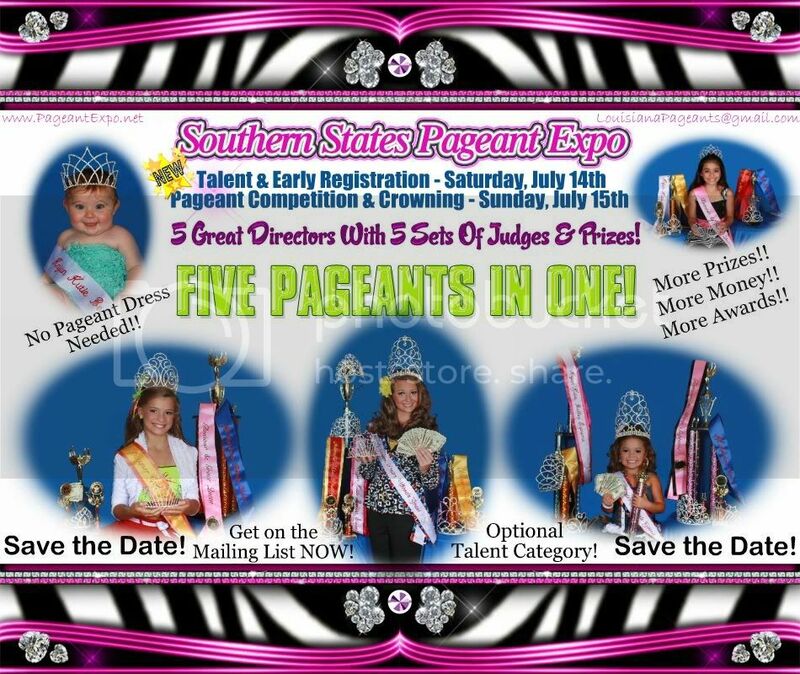 Each Grand Supreme receives a beautiful 8 inch Silver Star crown, star scepter, satin embroidered sash, trophy and a couple of very nice gifts. This will be chosen by the director and her staff. This will be a contestant that is there to have fun, compete and meet new friends. It will be based on sportsmanship, friendliness, and personality. She will win a beautiful crown and sash. More awards and cash $$$ prizes can be added as numbers increase. All Bonds Listed on paperwork are GUARANTEED and will not be prorated ever. Come join the FUN and Bring All of your Friends!! 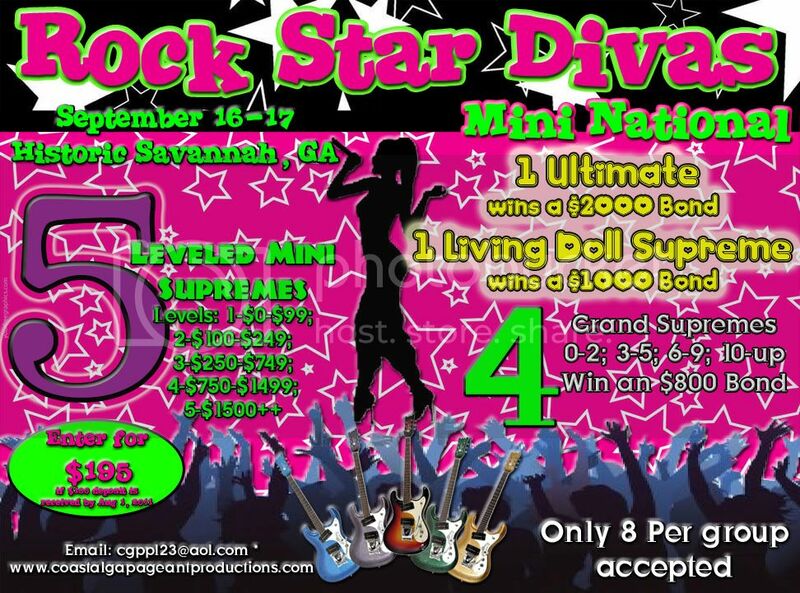 Subject: Rock Star Divas Mini National! 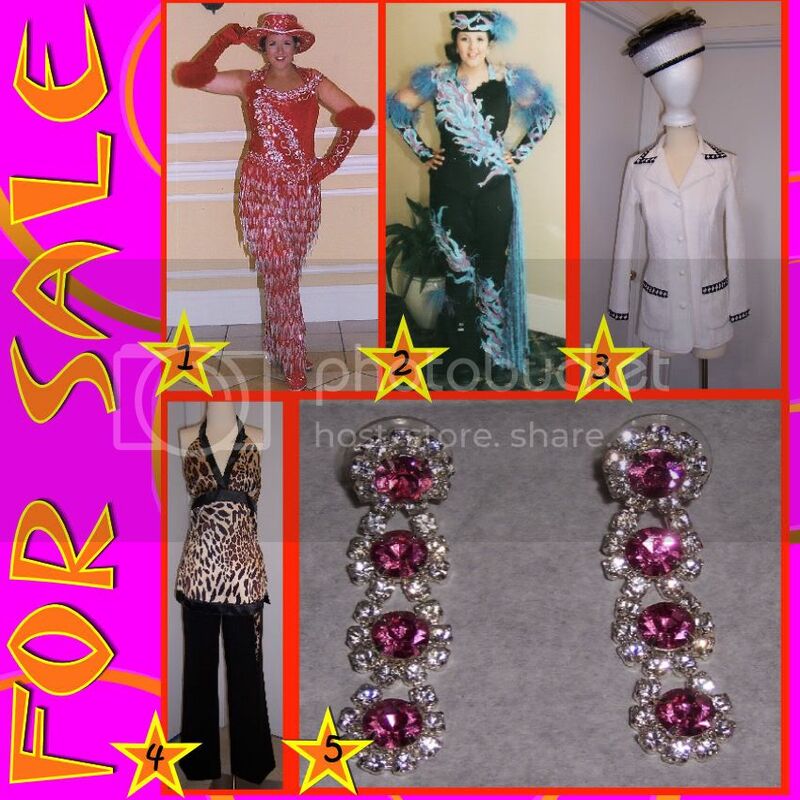 Subject: Awesome Clothes for Sale. Get them while you still can! Subject: Come out and support your fellow pageant girls! Subject: Email for your FREE 7 day trial today! Subject: DONNA MALLARD IN SC!!! Subject: 3/4/5 Brand New White Glitz Dress Just Listed. 99 Cents! No Reserve! 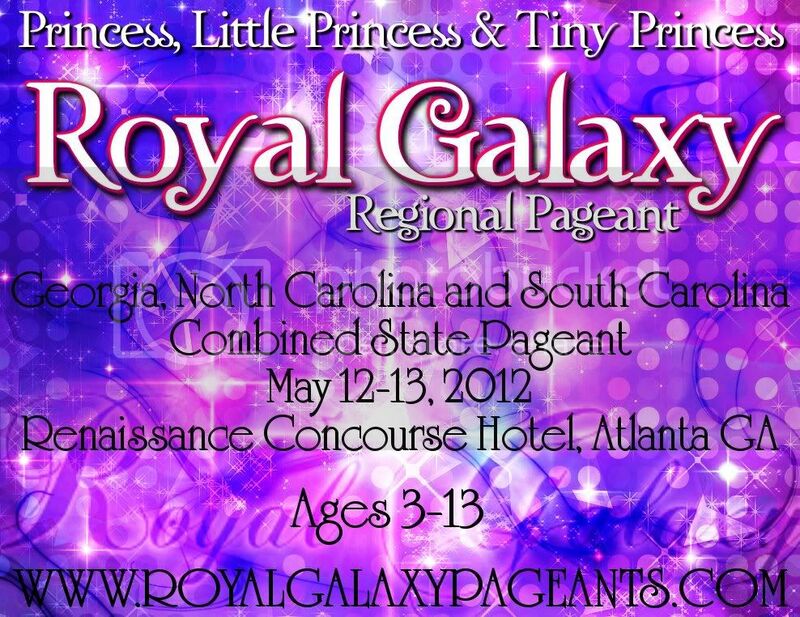 International Junior Miss Georgia State Pageant will be held March 17-18, 2012 in Atlanta Georgia. Request to be our friend on facebook for the opportunity to receive reduced fees, BUT you have to be our facebook friend to qualify. .....Ready May 17th - Email & Get Yours Today!!! Email: luane.schindler@att.net to get yours!! Send Your $200 Deposit by Oct 15th & lock in the $450 Package!!! Mark Your Calendar for the Next NOTY Nationals! 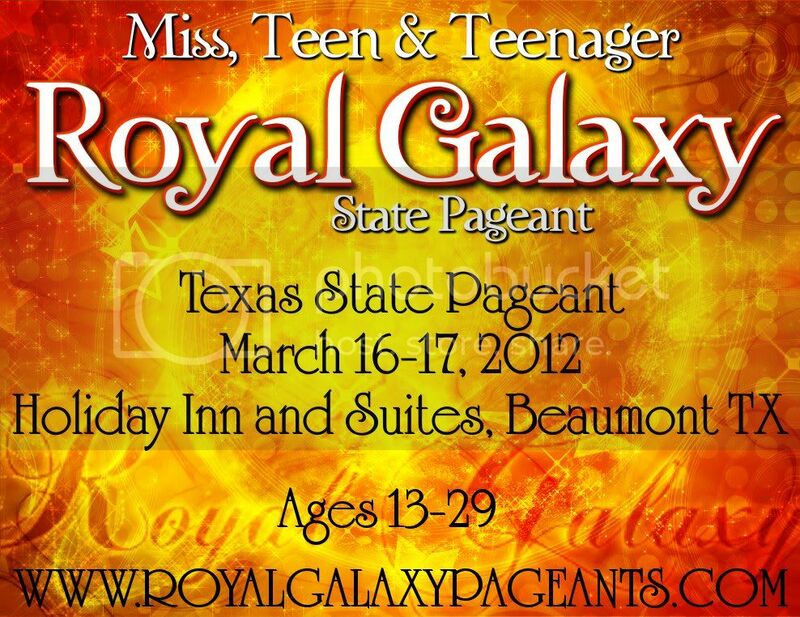 January 13-15, 2012 in Houston TX! More Cash! More Titles! Everyone wins a Crown!! And Like Last Year ... You Can Leave Your Photos at Home! Just a friendly reminder that our regular application deadline is TODAY: April 15! Please have your applications postmarked by today to AVOID LATE FEES! 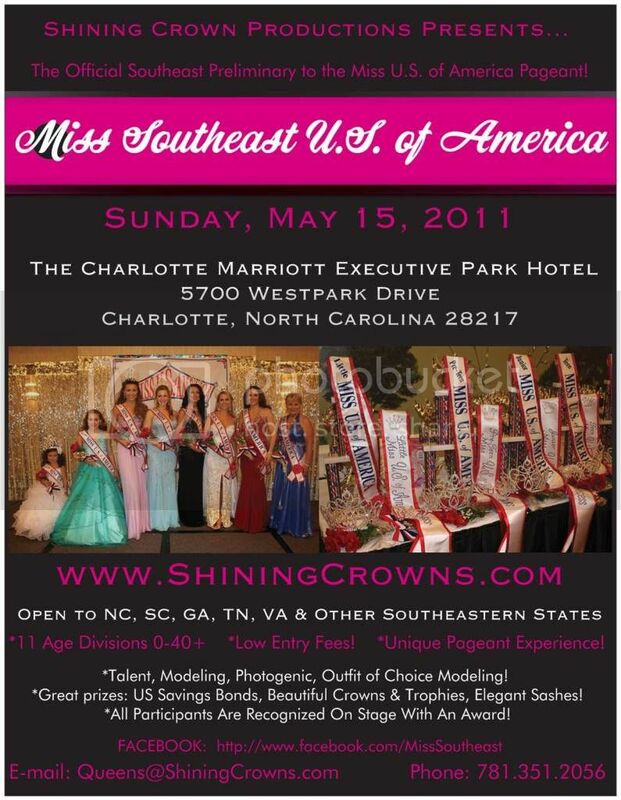 The Official Southeast Preliminary to the Miss U.S. of America Pageant!$20,000 in prizes awarded at nationals! 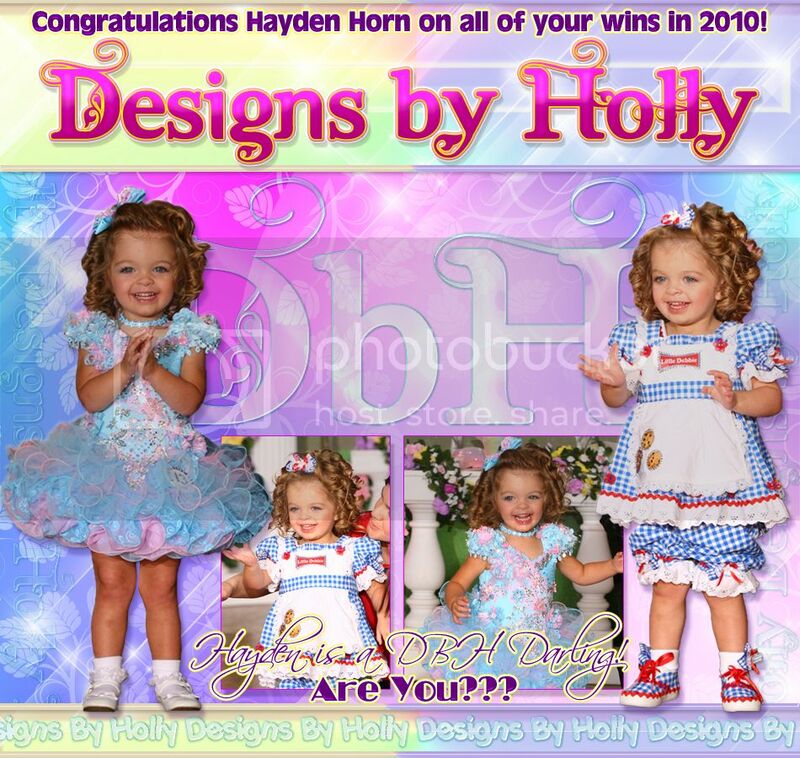 Baby & Tot Divisions: Open to ALL U.S. States! for the magazine for top designers. $125 - You get your disk with full Copyrights. !! FABULOUS FACES STATE PAGEANT !! All you need is a beautiful face and tons of personality! Call Cindy Bradford-Director for entry form and additional information at 770-364-6641. 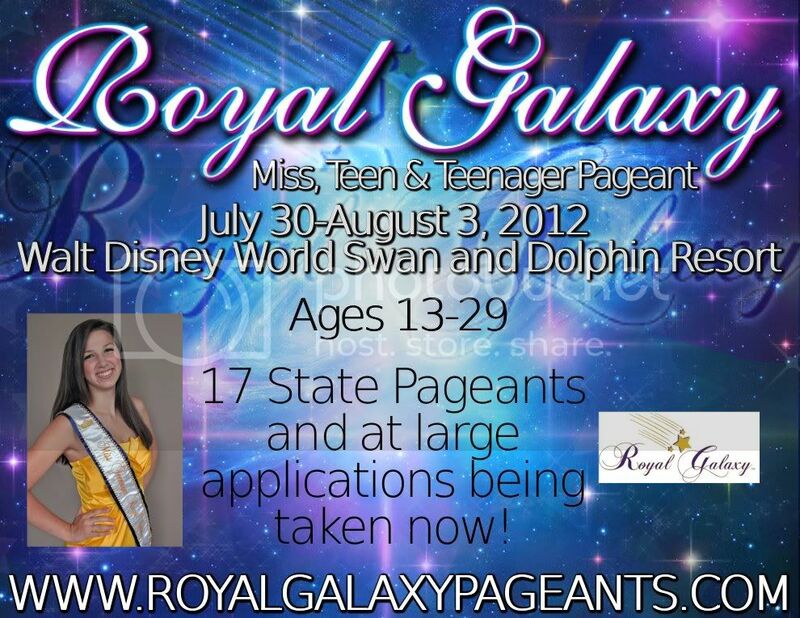 We are the pageant where beauty takes you places! Subject: Miss Southeast U.S. of America! May 15, 2011 -->EARLY BIRD SPECIAL! VALENTINES' EARLY BIRD SPECIAL RUNNING UNTIL FEBRUARY 14, 2011! ENTRY FEES REDUCED!!!!! Contact Queens@ShiningCrowns.com for discounted fees! 10 age divisions! Ages 0-40+ Welcome! 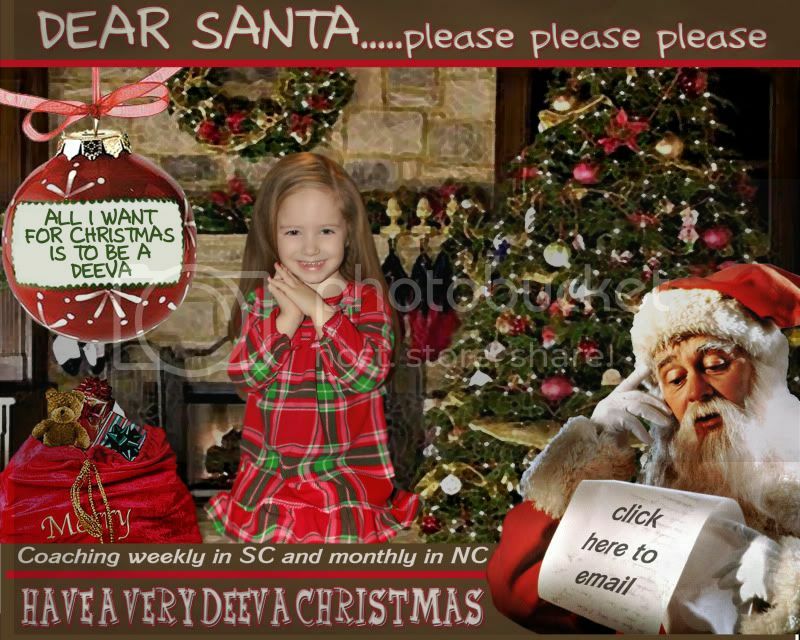 Open to GA, NC, SC VA, TN & other southeastern states/regions! All contestants will be recognized with an award! 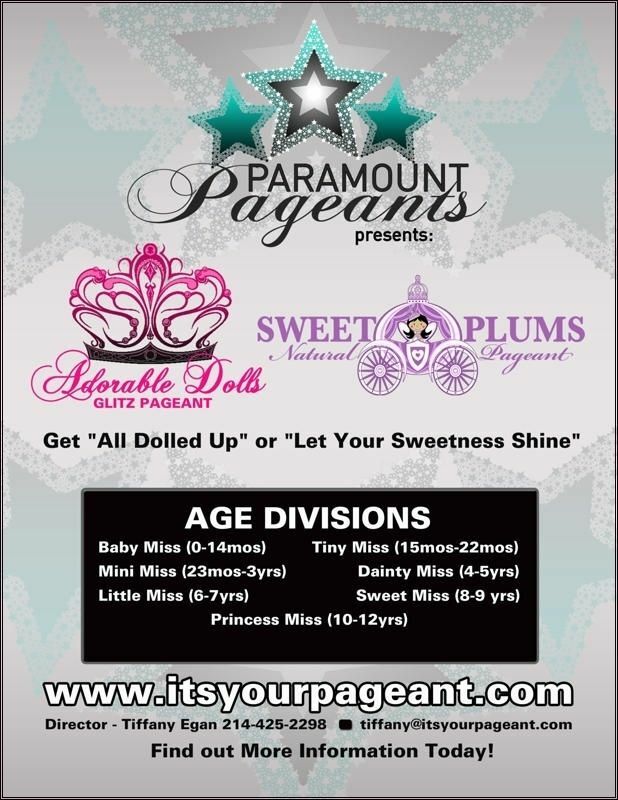 Beautiful Crowns & Trophies, Elegant Sashes and US SAVINGS BONDS will be awarded at the pageant! 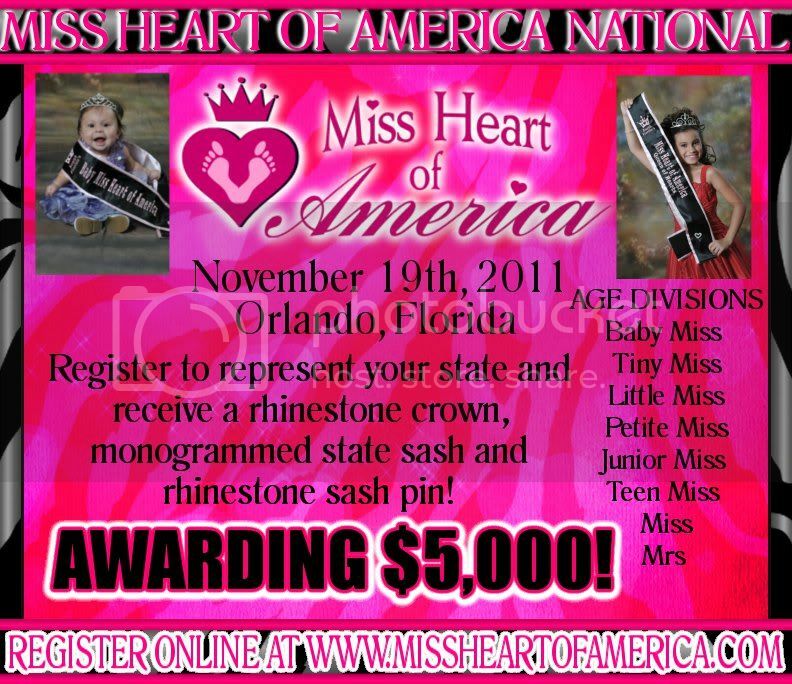 Check out our www.ShiningCrowns.com for more information! National Pageant in August 2011 - You could win a $5,000 BOND at Nationals! 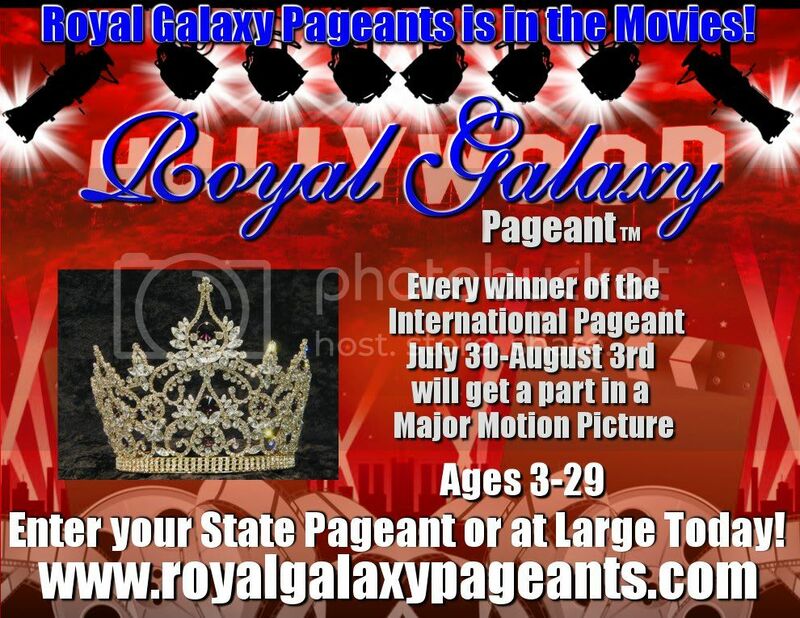 ENJOY THE PAGEANT FROM COMFORT OF YOUR HOME. 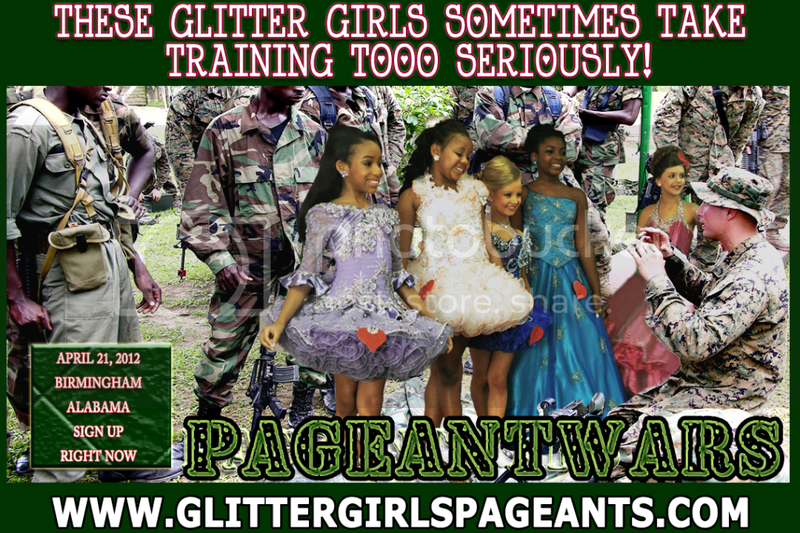 COME AND JOIN THE FUN AT MISS DIVINE ONLINE PAGEANT! Please click on banners to contact seller. Thanks! You Asked For It ... You Got It!!! If you don't qualify for NOTY - Join us for SOTY!!! click the banner to email Ms Luane for SOTY paperwork! 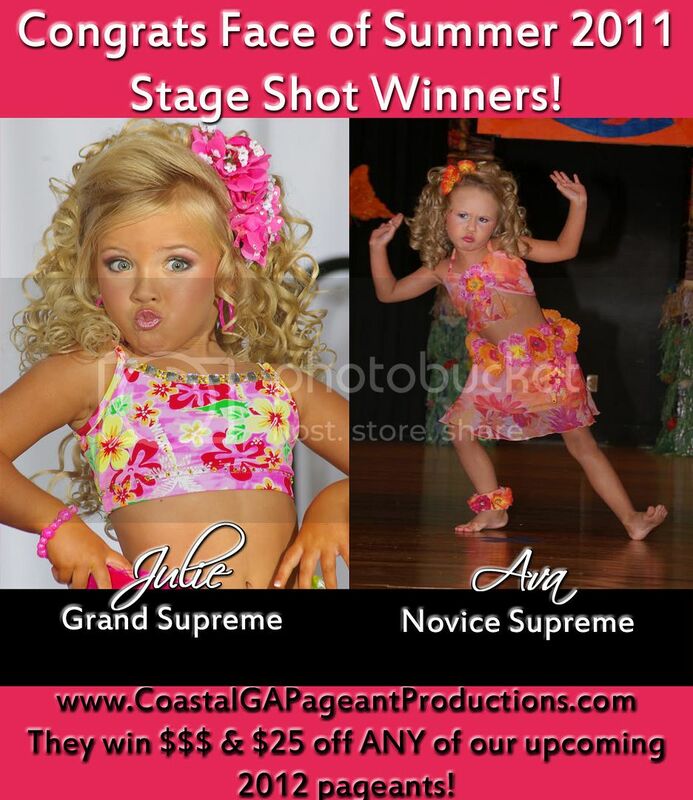 Glam Custom Pageant Designs is donating a free photo topper for each age division winner. 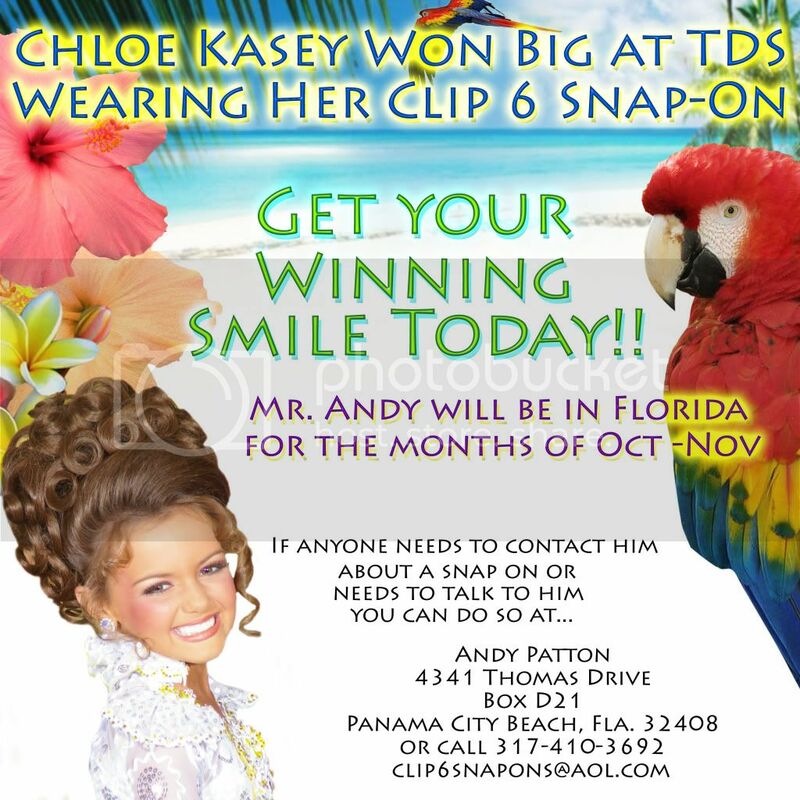 Ally French-Ash is donating a free custom routine music to each winner. Click on Banner to donate or email for more Info! Cilla Sebastian is coming to Glamour Dolls USA! Don't Miss Out on This Incredible Special!!! NOTY is now accepting BOYS!!! Girls, Don't Miss Out on this Incredible Special!! Who Will Be This Years NOTY $5,000.00 WInner!!! Sorry Pro's....NOTY is a Novice ONLY Nationals!!! click the banner to visit us!! 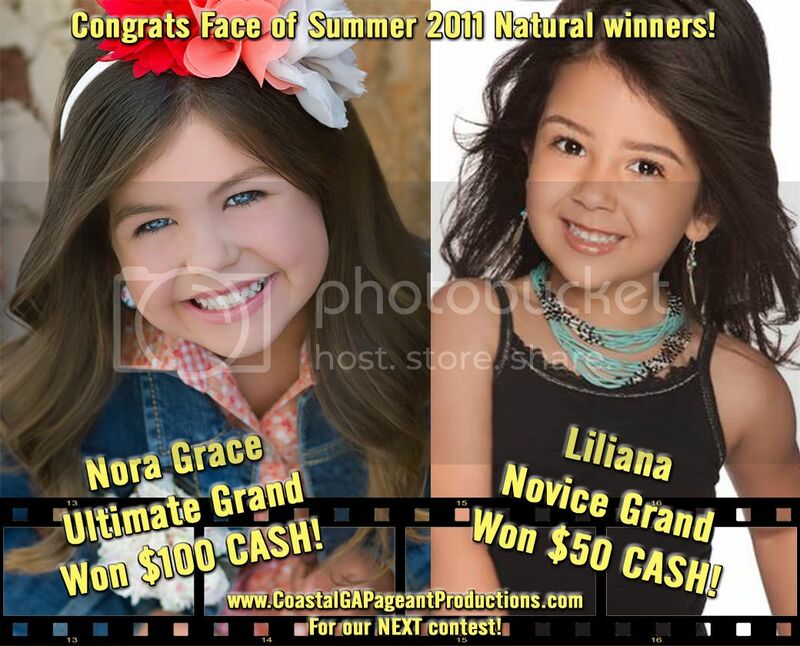 Win $100 with your glitz photo! Hurry.....You're Running Out of Time!!!!! and will NOT be Extended!!! September 15th is Almost Here!!!! Have You Sent in Your NOTY Earlybird Entry? Only $400 for ALL Events on the NOTY Paperwork!!! Subject: Email for info on hosting a shoot in your area!!! Now booking for Tropical Dream Stars! Subject: Rock Star Divas with T&T! Taking $25 deposits now to reserve your spot! 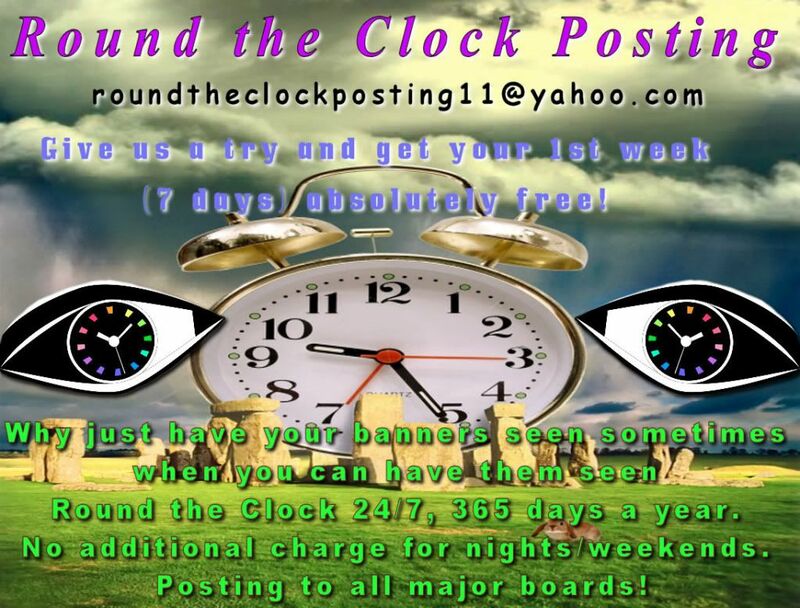 3� Hours or� less� to� Enter! 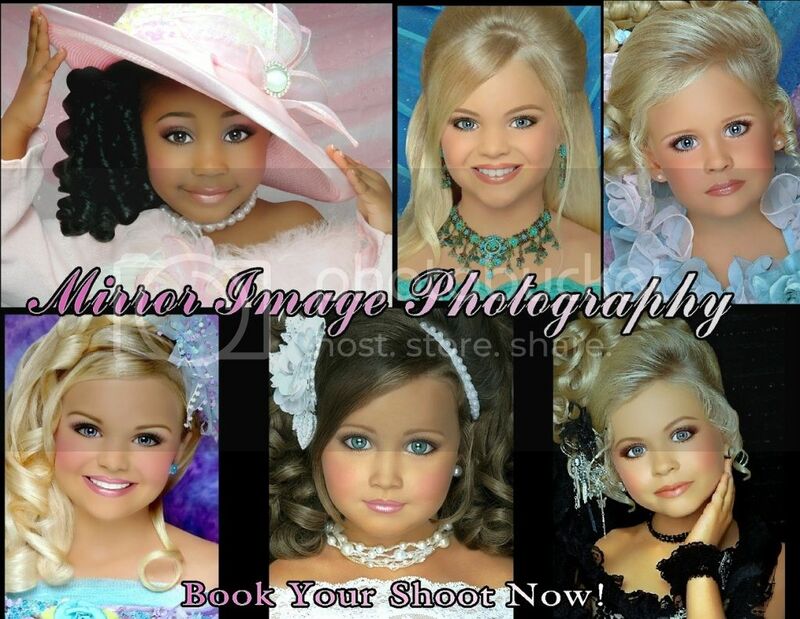 Glitz� Headshots� Event� -� "The� Science� of� Pageantry!"